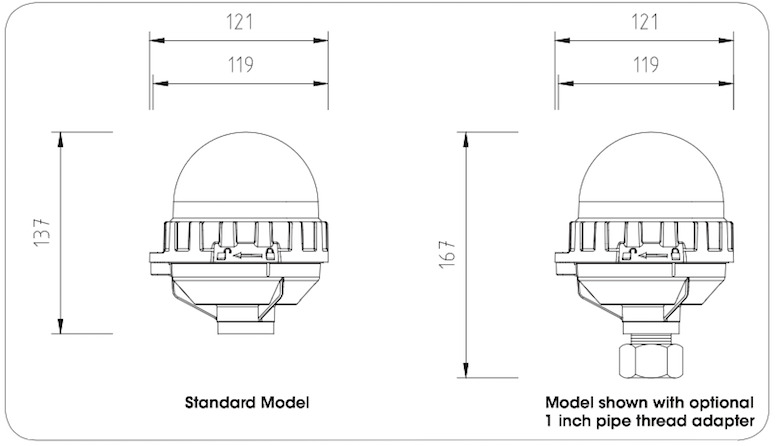 Low Intensity Obstruction Light Single Light Fixture This light fixture is a steady burning, low intensity LED obstruction light designed to comply with FAA L-810 and ICAO LIOL Type A & B requirements. The model can be used for marking obstacles which pose a threat to aircraft, such as telecommunication towers, wind turbines, buildings and other tall structures. 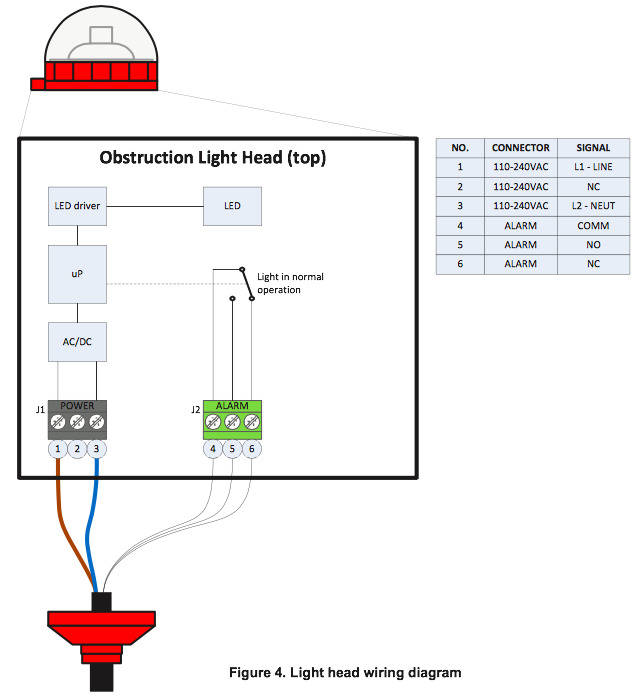 Avlite’s LED obstruction lights offer an ultra bright, energy efficient and cost effective lighting solution. 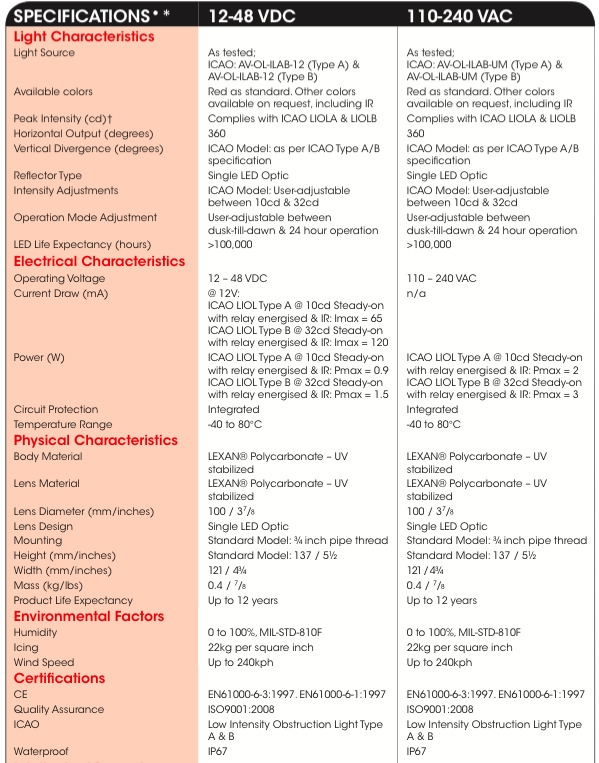 The light fixture is available in universal AC (110-240VAC). 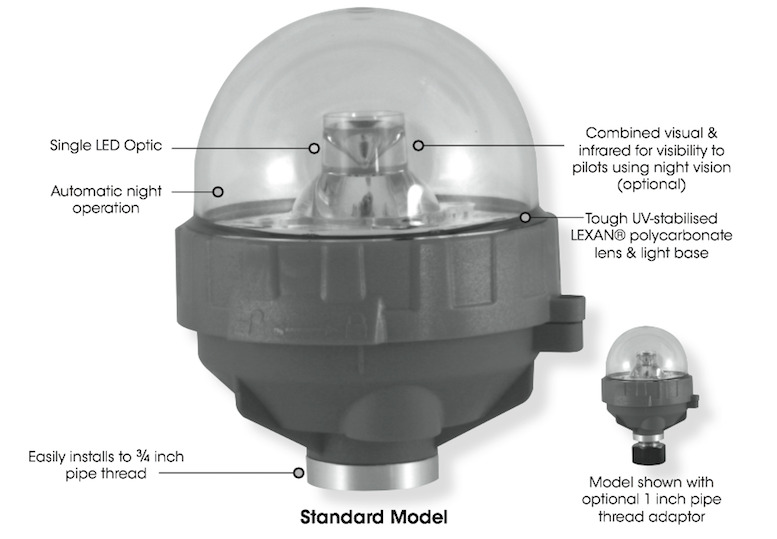 The advanced light optic uses a single LED for minimal power consumption. 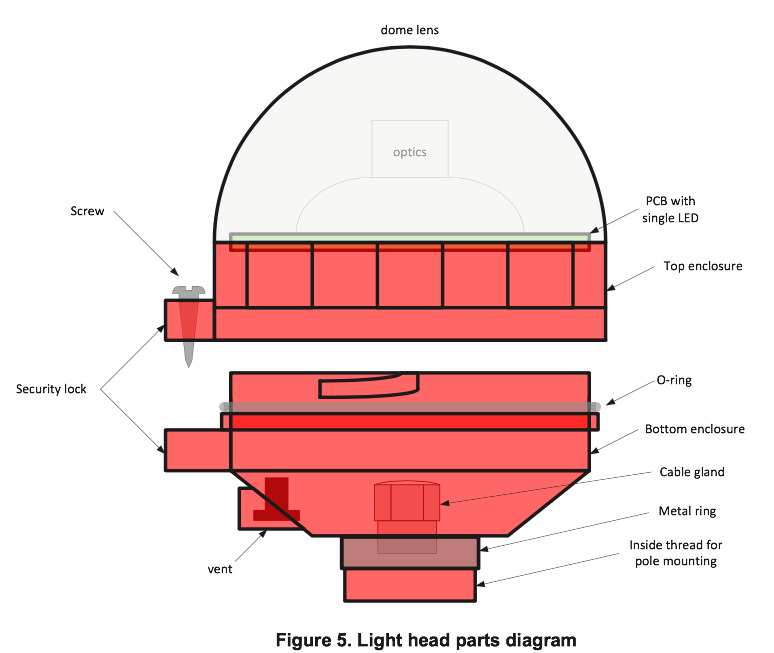 The corrosion resistant, polycarbonate lens is specifically designed for use with LEDs to maximize light intensity and uniformity. 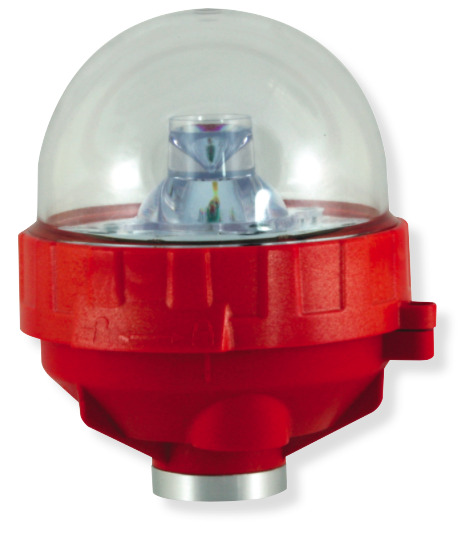 The light fixture incorporates internal diagnostic checking and an alarm contact for remote monitoring. 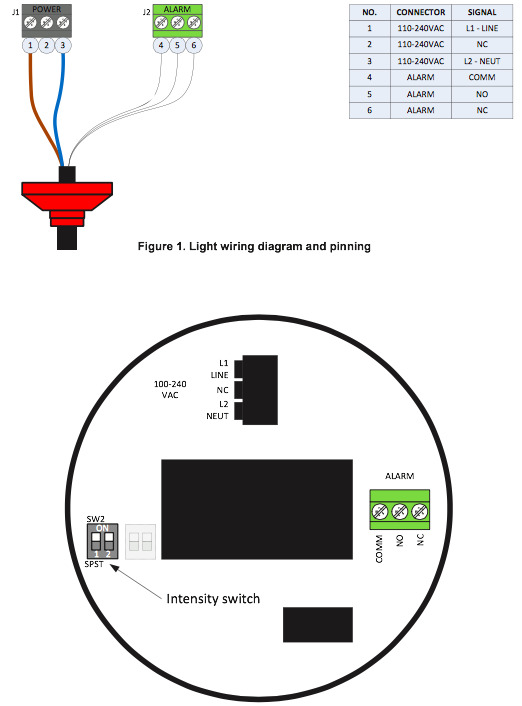 The alarm relay will be released whenever there is a problem e.g. 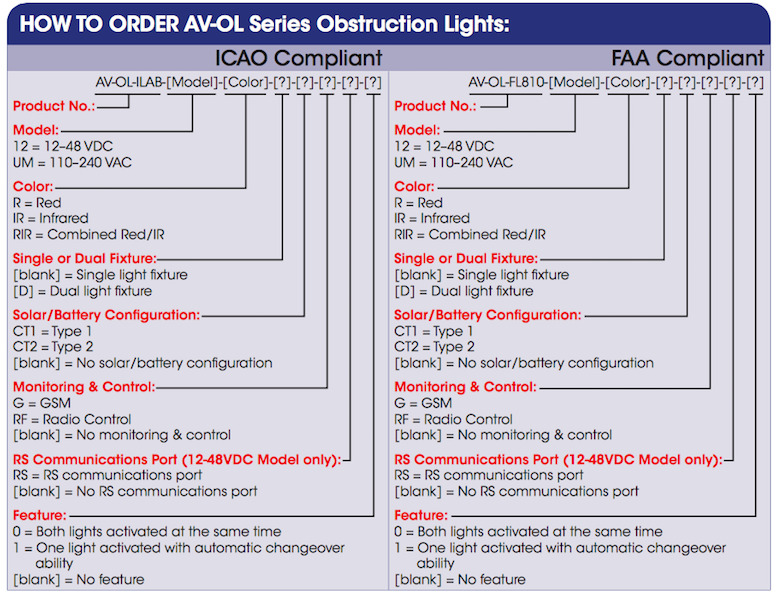 no power, supply voltage too low, LED failure, etc. The alarm relay will remain energized during the day when operating normally. 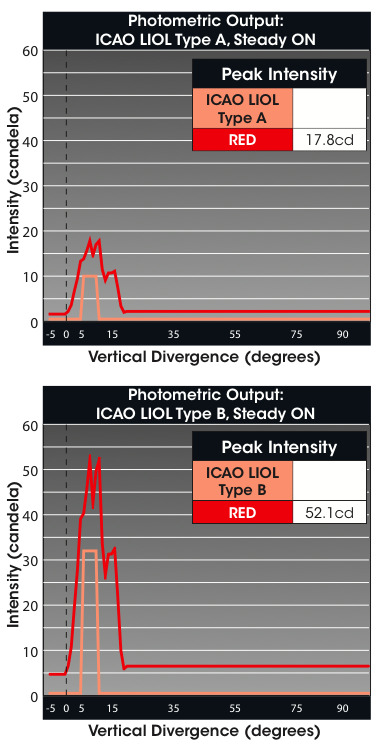 The ICAO model has adjustable intensity settings to allow the user to easily toggle between 10cd (ICAO Type A) and 32cd (ICAO Type B) light intensities.